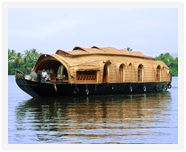 Your journey into the deep south behind with your arrival in Cochin, where you will be met for a transfer to Munnar. 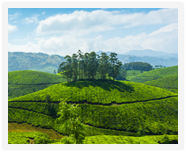 Famous for its tea estates, this picturesque hill station is the biggest tea producer in south India. Located 1,600 m above the sea level, it was once the summer resort of the erstwhile British government in the region. 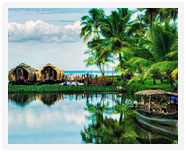 The sprawling tea plantations, quaint towns, winding lanes and holiday facilities make this a popular resort destination. After you check in, you have the rest of the day to spend at your leisure. Overnight at the hotel. After a hearty breakfast, begin your day with a spot of sightseeing. 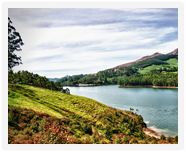 On the agenda are the Eravikulam National Park, the natural habitat of the Nilgiri Tahr, a kind of ibex; the Mattupetty Dam; Echo Point and the wonderful sights of the town itself. Then you head back to the hotel for a hot dinner! This is the second and last night at Munnar, after which you proceed to the next destination. After breakfast, you have a busy day of travel ahead of you. 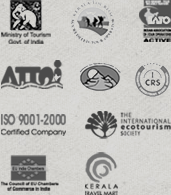 Today, you will leave for Thekkady, the venue of the famous Periyar (Thekkady) Wildlife Sanctuary, one of the most well-maintained wildlife sanctuaries of south India. Spread out over an area of 777 sq km, the sanctuary boasts of a splendid artificial lake formed by the Mullaperiyar dam across the Periyar river, which adds to the charm of the park. This is the only sanctuary in India where you can have the unique experience of viewing wildlife at close quarters as you cruise along the lake in the confines of a boat. 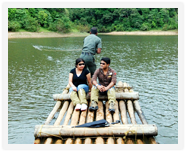 Once you reach, check in at hotel for the night, you have the afternoon free to enjoy that boat ride on Periyar lake. Otherwise you can opt for a short trek into the fragrant spice plantations. Overnight at hotel. Proceed to Kovalam after breakfast. 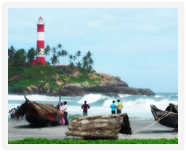 Post lunch proceed to Kovalam beach. Overnight stay at the hotel. After breakfast proceed on a city tour of Trivandrum. 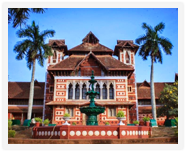 Visit Padmanabha swami temple, Napier museum and Raja Ravi art gallery. Evening is free at leisure, overnight stay at the hotel. Check out after breakfast and proceed to Trivandrum international airport or the railway station for your onward journey. Accomodation using 01 Double room on breakfast basis.